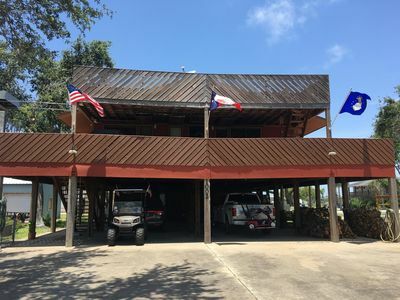 Quiet Port O'Connor House - Perfect for Fishing! 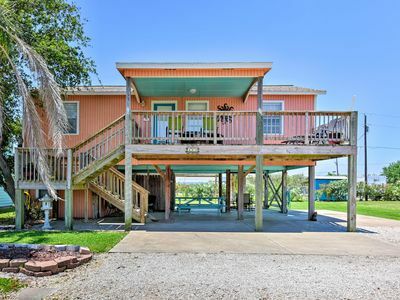 Let this welcoming Port O'Connor vacation rental house serve as your ultimate home-away-from-home during your next trip to the Texas coast! 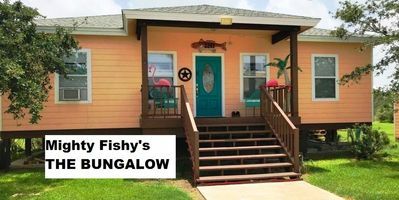 Offering great outdoor spaces, a comfortable interior and accommodations for 10, this home is perfect for a large group seeking a fun getaway! 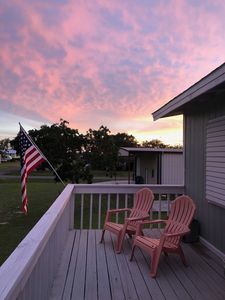 Relax by the warm waters of the Gulf or explore the local restaurants, shops, and fishing holes. 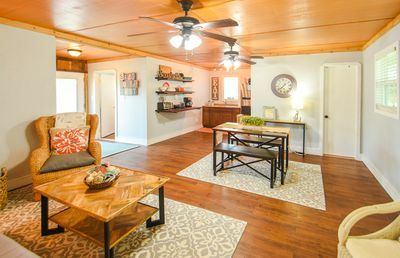 Whatever you decide to do, you'll love calling this 3-bedroom, 2-bath "home" during your escape to the Lone Star State! 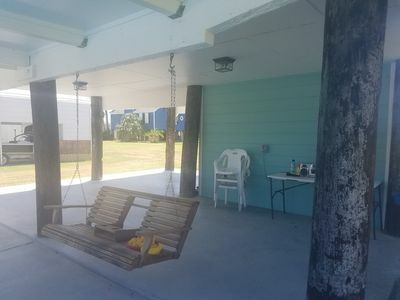 Everyone in your group will love retreating back to this quiet home at the end of a memorable day frolicking on the beach or out fishing on the port. Grab your favorite drink and sprawl on the stunning area outside on the expansive private deck. 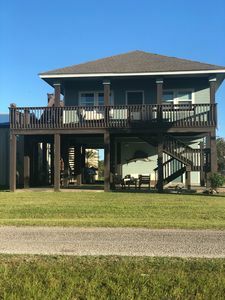 If you've had enough sun for the day, descend down the outdoor stairs to the ample seating options below the house, where you can unwind with your companions and reminisce about the day's adventures. 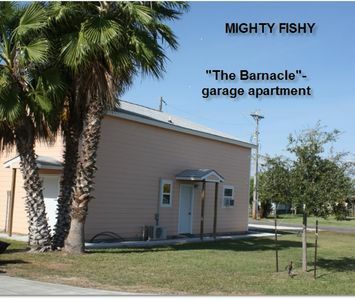 Other terrific outdoor features include a barbeque pit, outside shower, and fishing table. 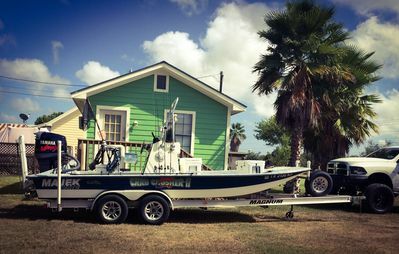 After plenty of relaxation time and a beautiful Port O'Connor sunset, you'll love the convenience of preparing the day's catch on the fishing table! 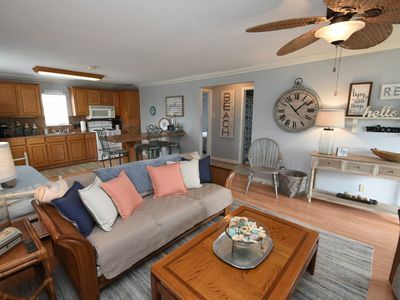 If you're not much of a fisherman, make dinner in the fully equipped kitchen located indoors, featuring beautiful granite countertops and plenty of cabinet space. After dinner is ready, gather around the spacious dining table, which opens up to the cozy living room. Enjoy your favorite TV shows or movies on the large flat-screen TV in the living room, or on the smaller TV in the guest bedroom. 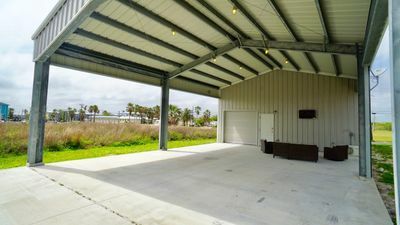 The property comes equipped with cable for your entertainment needs, along with other essential modern amenities, such as in-unit laundry facilities for your convenience. Sleeping arrangements include a nice king-sized bed in the master bedroom, a queen-sized bed in the second bedroom, and a full-sized bed as well as 2 twin-sized beds in the third bedroom, all of which will ensure a restful night's sleep throughout your stay. 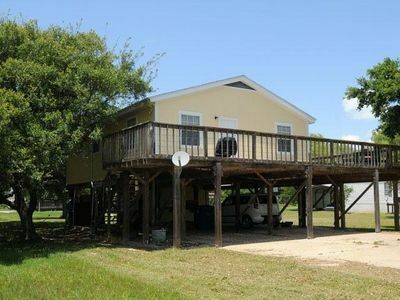 You can't beat this home's outstanding location! 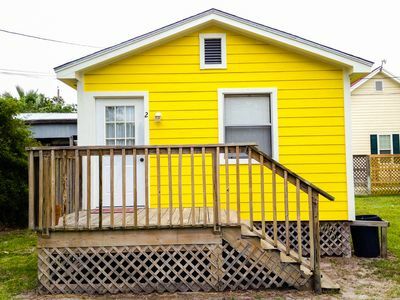 Nestled on a quiet dead-end residential street, this comfortable house is the perfect home base for a peaceful beach getaway. 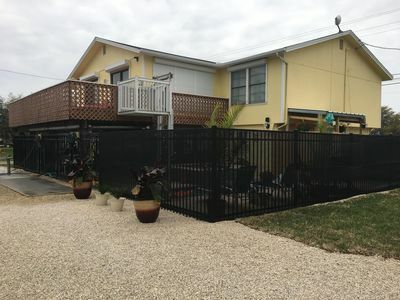 Bring your swimsuits, beach toys, and boogie boards and head over to King Fisher Beach, just minutes away from this ideally located home! Fishers, rejoice! You’ll be just minutes from several fishing opportunities, including great wade fishing at Boggy Nature Park, minutes away! If you’re seeking more excitement, rent a golf cart to cruise around the charming town featuring local shops and restaurants you’ll just have to try! - Fantastic location! 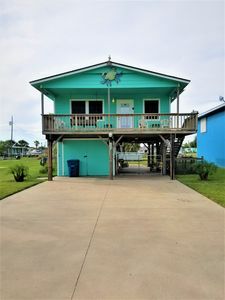 Less than 2 miles from the beach, fishing areas, kayaking spots, and shops! Quiet Bay House Retreat With Great View. 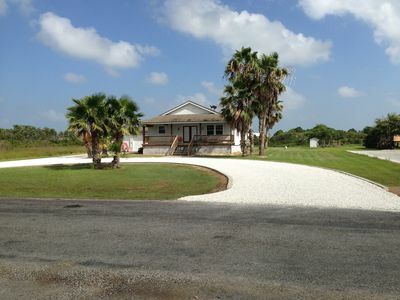 NEW LISTING - VERY Short Walk (293 ft.) to the Beach! 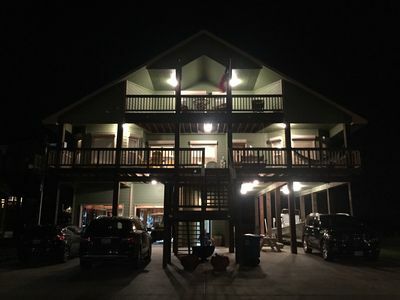 Reel'em Inn - Adventures Start Here! 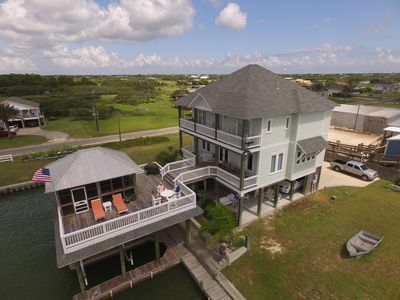 Rooftop deck with panoramic water view of Port O’Connor!